What is compensatory (“comp”) time? Can’t government employees receive comp time? But what if I want comp time? I’d rather have time off to spend with my family than the extra money. 1. What is compensatory (“comp”) time? You may be familiar with the term “comp time.” Comp time refers to the practice of allowing an employee to take extra time off from work after a long week, instead of overtime pay. What you may not know, is that in most situations, the practice is illegal, if you are working for a private, non-government employer, and you are a “non-exempt” employee who is otherwise eligible for overtime pay. There are some states that allow private employers to give employees comp time instead of overtime pay. Each state’s law is different, and the circumstances under which employees can receive comp time may be complex. 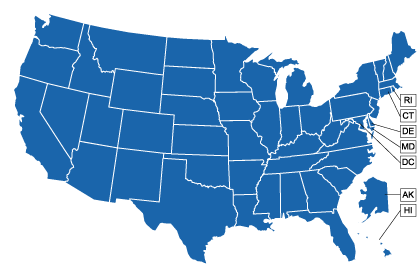 If you have questions about comp time under your state’s law, you can contact the agency for wage and hour/labor standards violations in your state. You can find contact information on our site’s state government agencies page. 3. Can’t government employees receive comp time? Nonexempt employees must be paid overtime for time worked beyond 40 hours in a given week. Under the FLSA they are entitled to one and a half times their regular rate for the overtime hours worked. It depends. Agencies may require an exempt employee to take comp time instead of overtime for irregular or occasional overtime work, but only if the employee’s rate of basic pay is above the rate of GS-10. 7. But what if I want comp time? I’d rather have time off to spend with my family than the extra money. It might be frustrating to learn that you cannot have comp time, even if you and your employer both want it. But overtime laws help discourage employers from overworking employees instead of hiring people when they’re needed. A system that is voluntary and permits employees to choose the option best for them (overtime pay or time off) might seem ideal. In reality, most workers have little say in their hours or working conditions and are unlikely to be able to exercise an option that is not in the employer’s best interest. For example, a worker who normally works an eight-hour day, Monday to Friday, needs to work several ten-hour days to meet a deadline. Since overtime pay only kicks in when a worker has spent more than 40 hours on the job in a particular workweek, the worker could work ten hours each day between Monday and Thursday, and take Friday off. The worker would still be paid for a 40-hour workweek, with no overtime pay due. Another way to achieve the same outcome is to receive overtime pay in one week, and then reduce the number of hours worked the next week so that the worker’s paycheck remains constant. For example, a worker who makes $10 per hour works fifty hours the first week of his or her pay period, for a gross weekly paycheck amount of $550 (forty hours paid at $10 and ten hours paid at the time-and-a-half rate, $15.) If the worker worked only twenty-five hours the second week of the pay period, the worker would earn $250 in gross pay, but his or her paycheck would be the same ($800) at the end of the two-week pay period. Notice, however, that under this arrangement, the employee must take time off at the time-and-a-half rate applicable to overtime hours, and not simply hour-for-hour. As noted above, many so-called comp time arrangements do not comply with the law. You may have a claim against your employer for unpaid wages if your employer’s comp time policy doesn’t follow the law. Read below for more information about how you can file a claim for unpaid wages. The FLSA is enforced by the Wage-Hour Division of the U.S. Department of Labor. Wage-Hour’s enforcement of FLSA is carried out by investigators stationed across the U.S., who conduct investigations and gather data on wages, hours, and other employment conditions or practices, to determine whether an employer has complied with the law. Where they find violations, they also may recommend changes in employment practices to bring an employer into compliance. If you need further information about your state’s comp time law or wish to report a potential state law violation, then you may wish to contact the agency in your state which handles wage and hour/labor standards violations, listed on our site’s state government agencies page. Do not delay in contacting the Wage-Hour Division or your state agency to file a claim. There are strict time limits within which you must file charges of unpaid wages. To preserve your claim under federal law, you must file a lawsuit in court within two years of the violation for which you are claiming back wages, except in the case of an employer’s willful violation, in which case a 3-year statute applies. However, as you might have other legal claims with shorter deadlines, do not wait to file your claim until your time limit is close to expiring. You may wish to consult with an attorney before filing your claim, if possible. 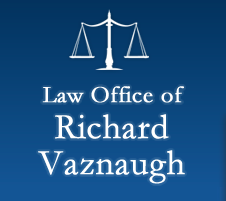 If you are unable to find an attorney who will assist you, it is not necessary to have an attorney to file your claim with the state and federal administrative agencies.